Gridless Powers Ebola Response - Gridless Power Off-grid, clean, rugged solutions for your toughest power problems. Gridless designs solar batteries with the capacity of a generator. Gridless is partnering with the Liberian Energy Network to power a hospital in Bong County, Liberia. The Gridless team spent the weekend working overtime to put together a deployment package for a hospital in rural Liberia. The care package included everything needed to provide power: large rooftop solar panels, wires and tools for installation, and a Gridless CORE. The whole installation is sized to be able to run basic lighting and refrigeration at the hospital for years. Bong County, Liberia is one of the hardest hit areas in the world by Ebola. The CORE system and solar installation will be installed in Phebe Hospital, one of the only medical centers in the region. 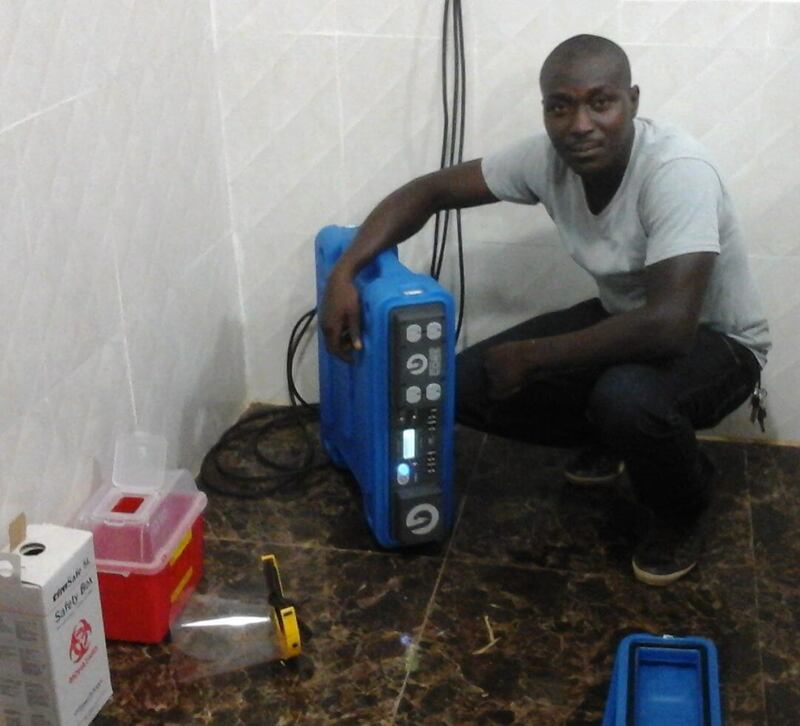 Gridless is excited to be providing Phebe Hospital with critical infrastructure and renewable energy sources, and proud to be a part of their lifesaving services in Liberia.